"Ceramic Treasures" and is taking place at the Glen Alpine United Methodist Church located at 410 Linville St, Glen Alpine. 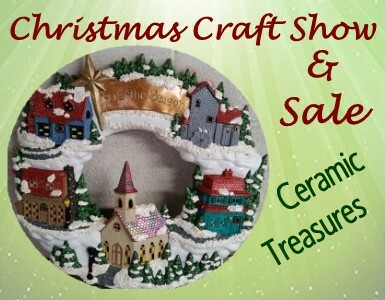 If you have a handmade craft you would like to show and sell, please consider joining us. Call Barbara Peters at 413-0120 or Jean Sipes at 430-0051 for more information.